Question: I am taking my RV out of storage and plan to inspect the seams and sealants on the RV roof for any damage. Can you tell me what products and methods work best for re-caulking your RV roof and how often the maintenance should be done? Answer: That’s a great question and quite often I see advice on this topic that is completely wrong. Let me begin by saying that it is important that you use sealants compatible with the material your RV roof and other products you are sealing are constructed out of. If you have the RV owner’s manual it will usually specify intervals that you should inspect and perform routine roof maintenance on your RV. 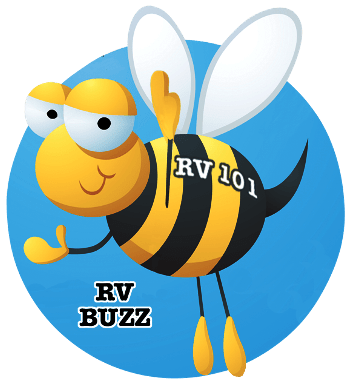 This is extremely important because in many cases the RV warranty can be voided if these inspection and maintenance intervals aren’t followed. I personally use Dicor Lap sealants to reseal and maintain RV roofs. These are the same sealants used in the RV industry by many Original Equipment Manufacturers (OEMs), and they are a popular choice for aftermarket use. But it’s important that you use the right sealant for your type of RV roof. Dicor EPDM lap sealant is specially formulated for EPDM roofing and it works on galvanized metal, aluminum and fiberglass roofs. The Dicor Ultra Sealant System is specially formulated for RV TPO roofing. Caution: Whenever you are working on your RV roof exercise caution. A fall could result in serious injury or death. When you inspect the seams and sealants on your RV roof look for cracked or dried out sealants that might be separating and allowing water to get penetrate the surface of the roof. If during your inspections you identify any potential leaks in the old sealant it will need to be resealed. It’s not that difficult to do. One important step is to see if the water has already damaged the roof’s surface around the area where it has penetrated the sealant. You can go inside the RV and feel around the area for soft spots or look for signs of water staining. If the roof structure is damaged it will require repairs much more extensive than we are discussing here. Our goal is to identify potential leaks and seal the area before there is any damage to the roof. If I identify any cracked or separated sealant during an inspection I remove any old sealant that is loose around the area I am resealing. To do this I use a plastic squeegee similar to what is used when you do body work on a vehicle. They can be purchased at any auto parts store. Be extremely careful not to tear the rubber roofing material as you remove old sealant. When the loose cracked or dried out sealant is removed from the suspect area I clean it with denatured alcohol on a rag and use the correct Dicor sealant or other compatible sealant with a caulking gun to reseal the area. Note: If the old sealant is cracked, but not loose or separating from the surface it is not necessary to remove the old sealant. Clean the area using denatured alcohol and add new sealant over the area that is cracked. If you read an article about resealing your RV roof and it says to get up on the roof with some silicone sealant to reseal a rubber roof the author does not know what they are talking about. Follow the inspection and maintenance intervals in your RV owner’s manual and reseal any potential damage with a sealant compatible with yor RV roofing material and your RV roof will last for many trouble-free years. If you aren’t comfortable working on the RV roof take it to an authorized repair facility to have the work performed. You should also inspect and reseal all of the other seams and sealants on the exterior of your RV at regular intervals. 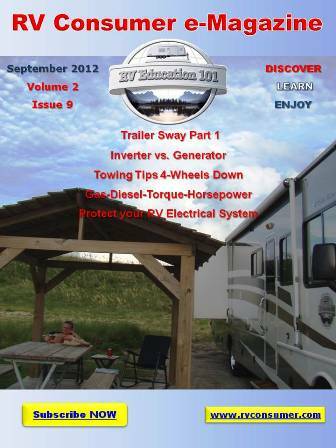 Consult the RV owner’s manual or your RV dealer for sealants compatible with the surface you are attempting to repair. For more information on RV roof care and maintenance watch the videos posted below. « Who are the Tin Can Tourists?